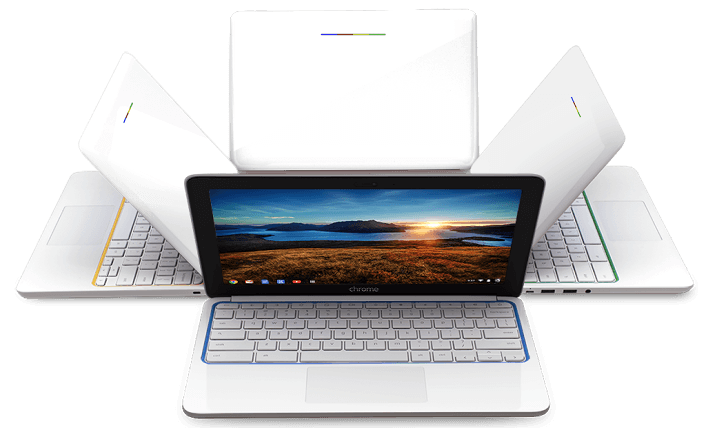 Chromebooks are unique class of mobile computing devices, designed specifically for Web-based tasks. They differ from traditional laptops in a few important ways. HP Chromebook 11 is a solidly built computer that is designed to run on Google’s Chrome operating system by delivering more for less. The HP Chromebook 11 is designed to be connected to the Internet. You can create documents and spreadsheets or edit photos on a Chromebook using Google apps designed for these purposes. The Chrome operating system will not load and run traditional PC software like Microsoft Office and Adobe Photoshop. However, files created in these applications can be viewed and edited using Google apps on your Chromebook or cloud-based applications like Microsoft’s Office web apps. To help make them thin and light, the HP Chromebook 11 is built without large-capacity drives. So instead of storing your documents, videos, and photos on your computer, you save them to Google Drive (Google’s Cloud-based storage service). Your files are password-protected and secure, and you can access them anywhere there’s an Internet connection. If you know you’ll want access to a file or photo offline, however, you can easily save it to the built-in solid-state drive. 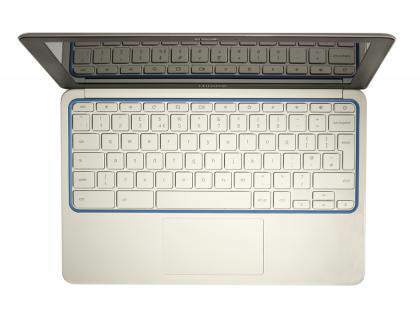 The HP Chromebook 11 is a light, thin mobile computing device. So what makes the HP Chromebook 11 so good? A large part of it is down to design: it looks beautiful, and feels it too. At only 1kg it’s incredibly sleek and light, yet the nicely curved polycarbonate chassis feels impressively tough. There isn’t too much flex in the lid, the hinge is smooth and feels robust, and the thick, rubbery pads at the bottom – colour matched to the keyboard – do a great job of stopping the Chromebook 11 from bouncing round on the desk as you type, or slipping off your lap. There are laptops at twice the price that don’t look or feel this good. The Chromebook 11’s biggest attraction, however, has to be its screen. The resolution is only a bog-standard 1,366 x 768, but in this compact 11.6in form factor that translates to a respectably sharp image. What’s more, it’s an IPS panel, something we wouldn’t normally expect at this price. We measured its maximum brightness at 316cd/m[sup]2[/sup], far in advance of any other Chromebook save for the Google Chromebook Pixel. Photos and videos pack a real punch, with vibrant colour reproduction and wide viewing angles. It’s proof that resolution isn’t the be-all and end-all: given the choice between a drab Full HD screen and this little beauty, we’d take the hit on pixel density every time. In some ways, it’s an unlikely champion. Take performance: like most Chromebooks, the HP feels perfectly snappy when running Google’s office apps or browsing the web, and even ran Full HD video from YouTube and Google Play Movies without a glitch. Inside, however, there’s a lowly 1.7GHz Samsung Exynos 5 Dual 5250 processor, which proved slower in our benchmarks than the Asus Chromebook C200, with its 2.4GHz Bay Trail Celeron processor, and even the Samsung Chromebook 2 13.3in with its 2GHz Exynos 5 Octa 5800. If you leave a lot of tabs open while you’re surfing, or run more demanding games, it quickly begins to struggle. If you see yourself as a power user, then a £190 Chromebook may not be for you. The HP Chromebook 11 price is just around $210.When available in Nigeria, the HP Chromebook 11 is more likely to fall within N30,000 – N38,000.